Want to see this business? Then Select the Link to Left "Want Name/Address." 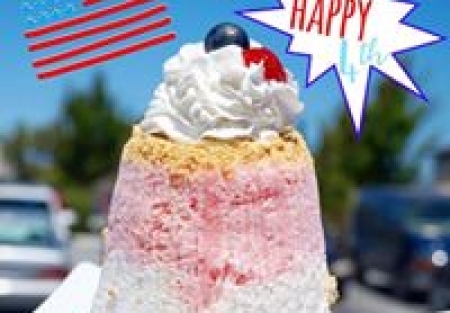 Shaved Snow & Desserts in South Placer County. The New thing in Cool Treats! Located in a busy retail shopping center in the area of San Mateo County. Great location near the lots of retail. Decor: This shop was designed for quick service with ample seating and a nice contemporary atmosphere. Great Reviews... This is the popular choice for fantastic frozen treats with fresh fruit, tasty toppings! You pick your toppings or try one of there signature creations...super delicious! Turn Key : This is a easy business to run and has everything in place to continue operating without interruption, so a new person to the food and beverage business can learn it fast. Lease: Rent $4,401.22 total including cams for 1,075 sq. ft. This is perfect for an Owner Operator business or nice extension of your Frozen Dessert empire. Could be a conversion...currently no hood system, but could be added at buyers expense. Reason for selling: The sellers have full time jobs and small children so they need to consolidate. Seller says make your offer! East Bay Sports Bar w/Hard Liquor and Low Rent!